Other measures expected to be included are a tax on luxury second homes, increased funding for schools and the repeal of a state law making it illegal to compensate a surrogate. 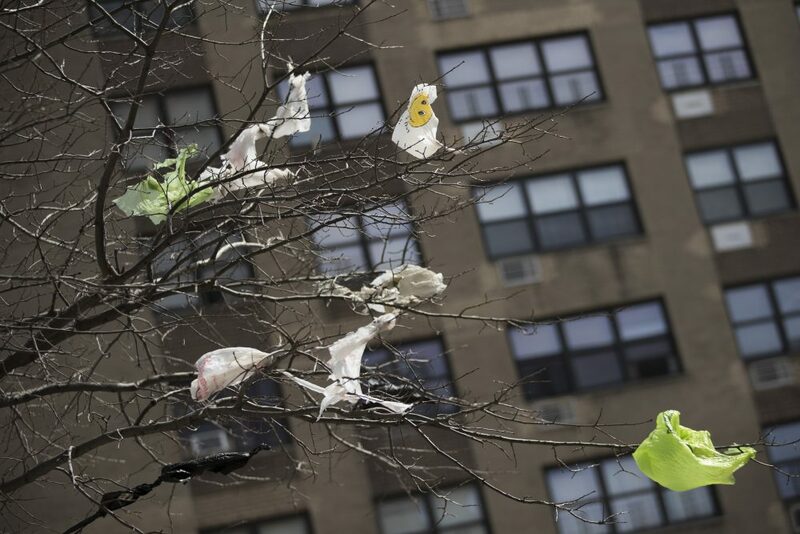 ALBANY, N.Y. — New tolls to drive into parts of Manhattan and a statewide ban on single-use plastic bags are two of the biggest proposals poised for approval as New York state lawmakers work to pass a new state budget before a Monday deadline. Other measures expected to be included in the $175 billion spending plan include a tax on luxury second homes in Manhattan, increased funding for schools and the repeal of a state law making it illegal to compensate a woman for carrying the child of another person. “We’re at the finish line. We are working hard to get an on-time budget with New York’s priorities,” said Senate Majority Leader Andrea Stewart-Cousins, a Democrat from Yonkers. The details of several provisions were still being worked out Saturday as lawmakers planned a series of closed-door meetings to review the spending plan. They were hoping to vote on the plan Sunday, hours before the start of the new state fiscal year. While Democratic Gov. Andrew Cuomo had wanted a recreational marijuana legalization provision included, disputes over the details of regulations kept it out of the budget. Lawmakers now say they’ll likely take up the measure after the budget and before they adjourn for the year in June. “That is going to take more time to work out,” Cuomo told reporters Friday night at a Capitol press conference. MANHATTAN TOLLS: Cuomo and the leaders of the Democrat-controlled Assembly and Senate say the budget will include a plan for new tolls on motorists driving into Manhattan south of 61st Street. The toll is intended to reduce gridlock by encouraging transit use. Revenue will support improvements to New York City’s aging subway system. Actual toll amounts have been set but earlier estimates suggest it could be nearly $12 for personal vehicles. Lawmakers say they want to include discounts for commuters who already pay bridge or tunnel tolls to reach Manhattan. PLASTIC BAG BAN: By this time next year, grocery stores and other retailers will have stopped providing single-use plastic bags for most purchases. Exemptions for the ban set to take effect March 1, 2020, include bags for: uncooked meat, fish or poultry; sliced or prepared foods; delivered newspapers; prescription drugs; trash bags; food-storage bags; garment bags, and bags for restaurant carryout orders. Counties will be allowed to opt for a 5-cent charge for paper bags, with 3 cents going to the state’s Environmental Protection Fund and 2 cents kept by local governments. LUXURY HOME TAX: There’s broad agreement on proposals to tax luxury second homes in Manhattan worth more than $5 million to raise additional money for the subways. One of the biggest remaining budget questions, however, is whether they will support an annual levy akin to a property tax or a sales tax paid when the property changes hands. CRIMINAL JUSTICE REFORM: A proposal to eliminate cash bail for all criminal defendants is a priority for many Democratic lawmakers, but disagreements persist about whether cash bail should remain an option for defendants accused of violent felonies. PRISON CLOSURES: Two state prisons will be closed, not three as the governor had proposed last month while saying the state’s declining inmate population means fewer prisons are needed. Which two of the state’s 54 prisons will be shut down is to be determined by the Cuomo administration, which has closed several correctional facilities in recent years. Elected officials in communities where prisons are located and the corrections officers union oppose the closures. MUG SHOTS: The Legislature has agreed to a Cuomo proposal to amend state’s Freedom of Information Law to prohibit the routine release of arrest booking information and photographs, also known as mug shots, by state law enforcement agencies. Cuomo has said the move is aimed at curtailing unscrupulous websites that charge people to have their mug shots removed from the internet. Criminal justice reform advocates say such businesses practice a form of extortion. Booking info and mug shots would only be released if it serves a law enforcement purpose such as seeking the public’s help in locating a crime suspect or escaped prisoner. Local law enforcement agencies would still be allowed to release mug shots. Media outlets and civil liberties advocates oppose bans on releasing public information. SEAT BELT LAW: The law requiring drivers and front-seat passengers to wear seat belts will be expanded to include all back-seat vehicle passengers to buckle up, too, under legislation proposed by Cuomo and agreed to by the Legislature. Drivers as well as passengers can face tickets for failure to do so. The current law requires passengers younger than 16 to wear a restraint when riding in the back seat of a motor vehicle. More than half of all states already have some kind of law on the books mandating back-seat seat-belt usage. PAID SURROGACY: New York is now one of a handful of states that ban paid gestational surrogacy, meaning prospective parents must travel to other states to hire or compensate a surrogate for carrying their child. The budget contains a provision permitting and regulating the practice.